Shiny Meltans are rare and are not available to catch in the wild on Pokemon Go. So today’s announcement that Pokemon Trainers can grab one from a Mystery Box for a limited amount of time is big news. As mentioned in the Niantic announcement, Trainers will be able to open more Mystery Boxes than usual, giving them a better chance at grabbing a Shiny Meltan. So how do you get a Mystery Box as a Pokemon Go Trainer? It’s all connected to the game’s link with Pokemon Let’s Go Pikachu on Nintendo Switch. Trainers with Pokémon: Let’s Go, Pikachu! or Pokémon: Let’s Go, Eevee! can send Pokémon from Pokémon Go to their Nintendo Switch. This is just like transferring Pokémon to Professor Willow, giving players the chance to earn Candy for each Pokémon they send. These Pokémon will appear in the GO Park complex in Let’s Go and come with a special bonus. Trainers who send Pokémon to the Switch will earn additional XP and unlock the special Mystery Box item. As confirmed by Niantic, the Mystery Box allows you to catch the Mythical Pokémon Meltan, which does not appear in the wild without it. The Mystery Box will act as a lure if activated but it will only attract Meltans to your area for 30 minutes. Activating the Mystery Box can bag you up to 10 Meltans per box, which is crucial if you plan to evolve a Melmetal, which requires a total of 400 Meltan Candies to be upgraded. After you’ve paired Pokémon GO to your Nintendo Switch, you can send Pokémon to the GO Park complex in Pokémon: Let’s Go. Pokémon that you've brought from Pokémon GO into Pokémon: Let's Go can’t be transferred back to Pokémon GO.Open Pokémon: Let's GoIn Fuschia City, speak to the attendant at the GO Park Complex and select Bring PokémonOpen Pokémon GOIn Map View, tap the Main Menu button.Tap the Pokémon button.At the top right, tap the Nintendo Switch icon.Tap all the Pokémon you'll like to send to the Nintendo Switch. You can only send Pokémon originally discovered in the Kanto Region (as well as their Shiny and Alolan forms) with the exception of the Mythical Pokémon Mew.Tap the Send to Nintendo Switch button when you're ready to send Pokémon. After completing this, you’ll earn Candy for each Pokémon you send as well as bonus XP. The first time you send a Pokémon to the Switch, you'll also receive a Mystery Box in your inventory. 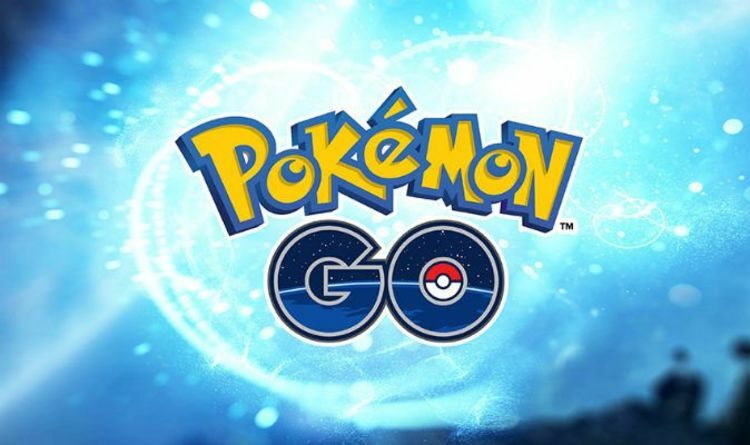 If you don’t have a Nintendo Switch with a copy of Let’s Go Pikachu, Niantic confirms that you can still obtain a Mystery Box and catch Meltan by sending Pokémon to a friend's Nintendo Switch game. "We have exciting news! The Shiny version of the Mythical Pokémon Meltan has been discovered! Just in time to celebrate the Lunar New Year, the Shiny version of Meltan will appear for a limited time. "A Mythical Pokémon, the mysterious and rare Meltan only appears when a Mystery Box is opened. If you’re lucky, you may encounter Shiny Meltan when you open the Mystery Box from February 5 at 1 p.m. PST until March 4 at 11:59 p.m. PST. "During this special event, the time that you have to wait before you can open the Mystery Box again will be reduced to three days. Be careful, Trainer! If you open the Mystery Box before this event starts, you will have to wait the usual time period before you can open it again. "The time you have to wait before you can open the Mystery Box again will be reduced."